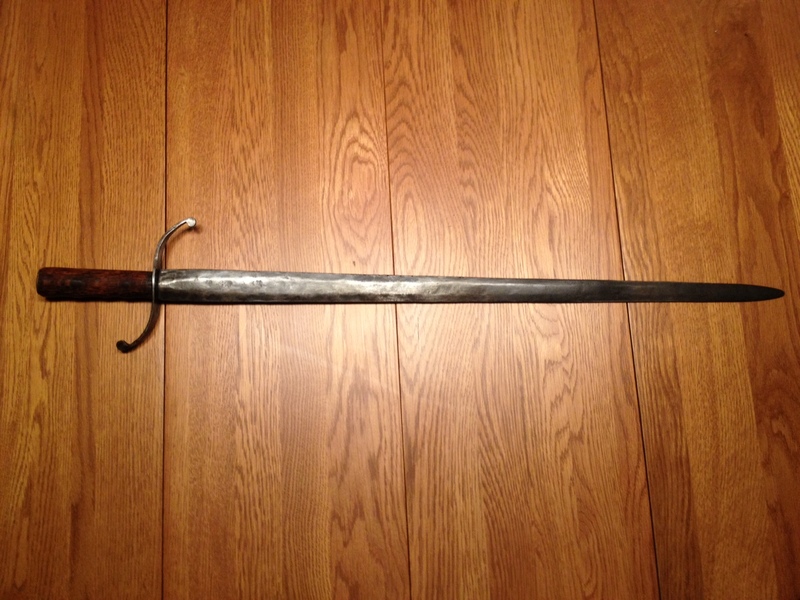 This hand forged Confederate sword came out of collection in central Georgia. It is made of a buggy spring, which at the time was the best steel for making a blade. The “S” guard is all hand forged also. Connecting the blade to the handle, which is a piece of hand carved hickory, is an 1840’s large cent piece. The bottom of the blade would have been hammered into a point to go through the handle, and into the penny, which had a hole drilled into it. Then the point would have been hammered over to keep from pulling out of the penny, and the handle. The “United” of United States Of America, has been ground off the penny. Just showing States Of America. How proud this soldier had to be to carry such a beautiful hand forged sword. Another piece that I wish could talk. The stories it could tell.